Yoga is a vehicle of transformation. During this 8-month 200+ hour program, yogis will discover the depths of their own spirits AND learn how to translate self-knowledge into a transformative practice. Because the value of authenticity cannot be understated, an additional 50 hours will be spent on personal brand, style, and workshop development; every graduate will leave with defined tools and framework for professional success in the yoga/spirituality/meditation world. Workshops will be offered by some of Brittany’s friends and favorites in the area, including Sanskrit and chanting, kundalini, and shakti yoga practices. Because personal development is so key to this program, yogis will have opportunities to explore their curiosities with additional workshops, mentorships, and events as they arise. We’ll be taking full advantage of the beautiful lakes and mountains setting in warmer weather to explore our connection to nature and the spirit of the earth, Gaia. Brittany’s philosophy for a Magical Yoga Teacher Training is that, as Einstein famously said, “everything is energy.” She combines the tradition of yoga with timeless philosophies and resources that enchant and enlighten her students. As a natural intuitive and Reiki Master, she delights in pointing people back to themselves. Throughout the eight months spent together, she’ll be offering her own support, encouragement, insight, and community to nurture the unfolding of each individual as well as the group. For a deeper look into Brittany’s teaching perspective, read her summary of the “Very Magical 8-Limbs of Yoga” or her website, brittanyboles.com. 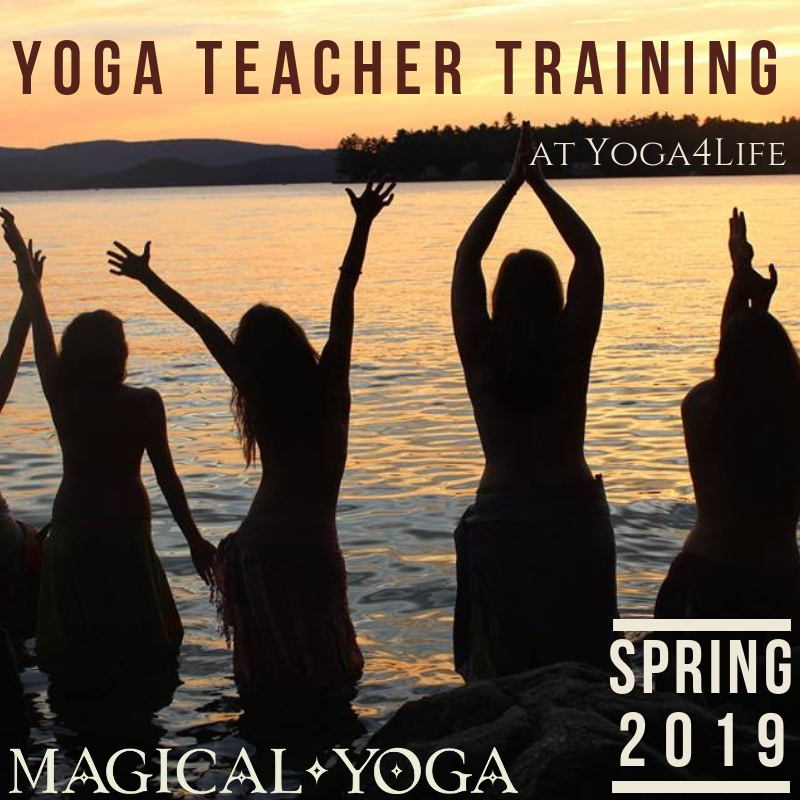 Free information sessions will be held periodically at the Yoga4Life Studio in downtown Wolfeboro, and interested yogis are welcome to email anytime to set up a visit. Are you ready to take your yogic journey that much deeper, to come into the full magnitude of your humanity, to understand the forces behind the practice? Space is limited for this once-in-a-lifetime opportunity. Meet your yoga tribe; we rise together!! Save your spot by making a non-refundable $500 deposit below. Read on to learn more . . . Even MORE info below . . .